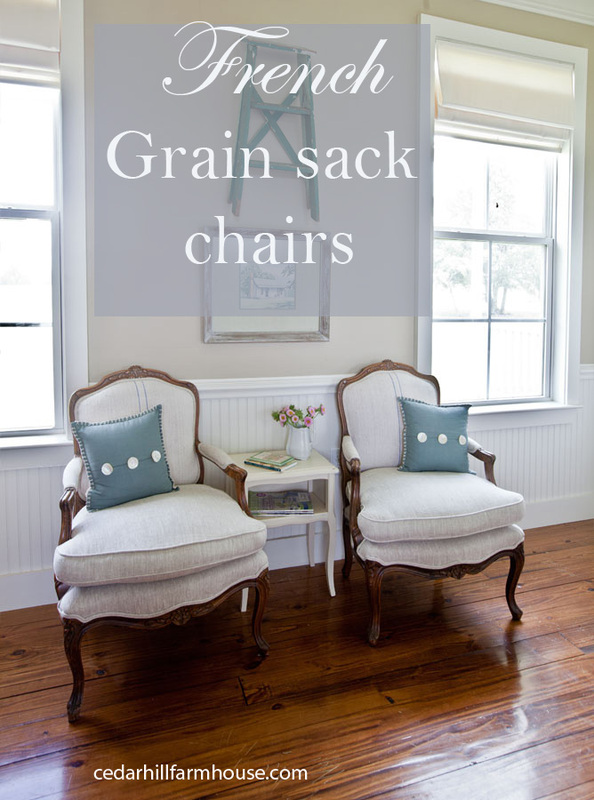 I am pretty pumped about these French grain sack chairs. Can you believe how they looked when I got them? Someone got rid of these chairs because, and I am guessing now, they didn’t like the rust colored corduroy fabric any more. I would like to explain to the previous owners, that with a small investment in fabric, they can be recovered, and you will have brand new chairs. But then if I explained that, I wouldn’t get these great deals any more. Yes upholstery is expensive. These chairs with fabric and upholstery ended up costing around $500 each. So, obviously you can buy cheaper chairs. 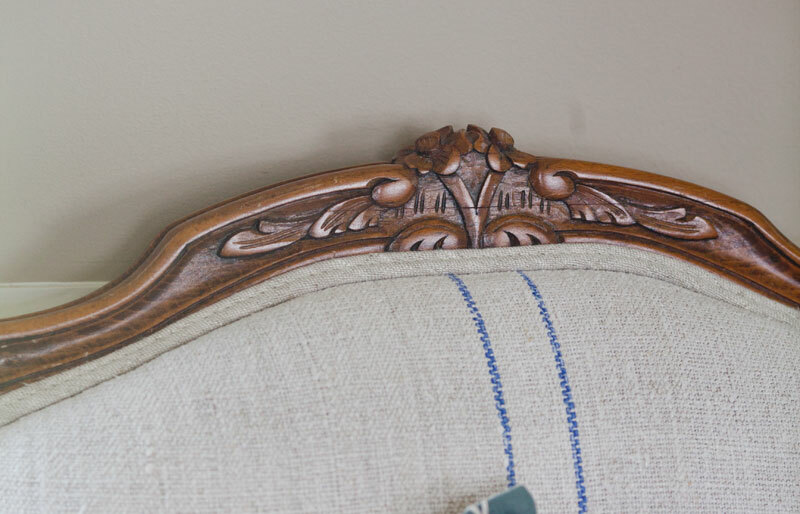 But these chairs, with the hand carving… are not made any more. At least, I can’t find new ones that are this beautiful. So it is well worth it for me. And if you find them already recovered in a shop, you are going to have to shell out about $1,000 for them. So, let’s just keep this between ourselves, shall we? This way people will keep dumping these glorious chairs, and we will find them and redo them. And, what is nicer than a bergere chair? I would say a pair. And just look at this detail! The seats and arms are covered in new linen, while the back of the chair (front and back) are covered in antique grain sack fabric. You can see my other French chair that I recovered in linen HERE. And now for a before and after of the room. The chairs now have a new life, and the pillows go perfectly with the fabric! 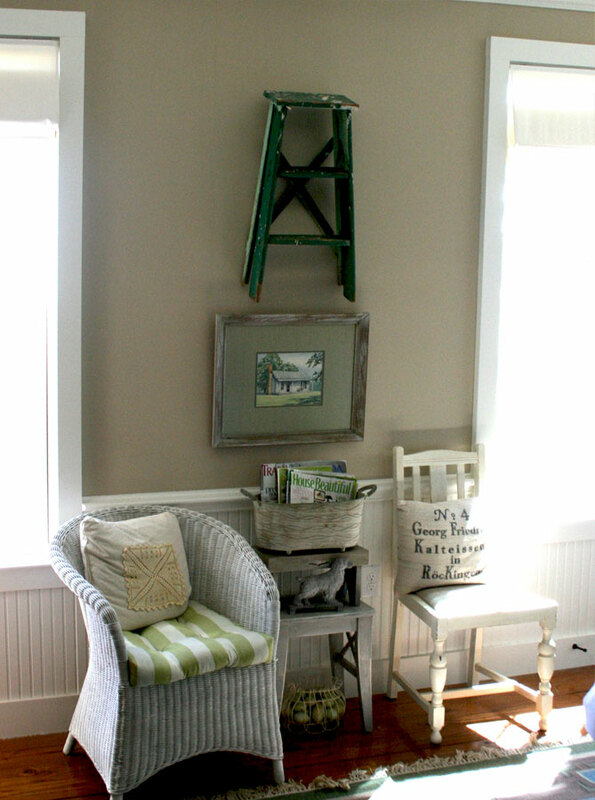 I would not have thought of hanging up a ladder as a decorative item, another clever idea for a farmhouse. Love them! What a transformation! Your chairs are perfect now!! Where did you find your fabric?? You could not of made a better choice with the fabric! I used vintage grain sack material. I have been searching for blue striped grain sacks for at least six weeks! I need 9 yards and to be honest, it is so hard to find. Most sacks are not very wide and I need at least 36″ wide. Any advice would be truly appreciated. Hope, I suggest a striped linen fabric. None of the grain sacks are going to be 30 inches wide. Gorgeous! After recovering a couple of chairs myself, I totally understand why it is so expensive. Have you ever been to Gallery Auction, they have live auctions every Monday at 0930. They are bringing in the most beautiful antiques from France. They have a website and a facebook page. I have received some awesome deals. Where are these auctions held? So mach better now that corner darling Anita! Full of french country feeling. And the chairs are stunning with this fabric, I love grain sacks a lot too! Love the chairs! Maybe it’s just the photograph, but they seem really close together. 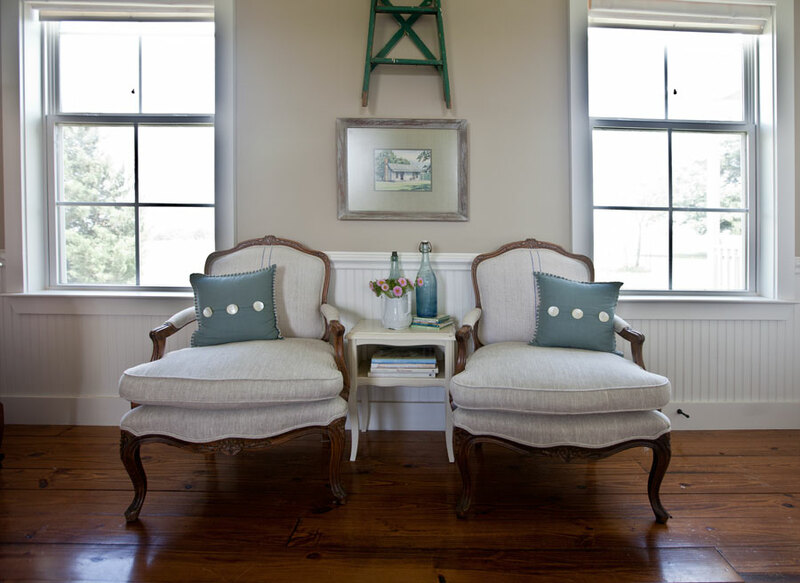 Beautiful chairs….I’ll take two please!! One person’s trash is another person’s treasure! You are blessed to find a cool treasure! Talk about improvement. The chairs look terrific! Love these newly-covered French chairs! No, let’s not tell those people who sell their beautiful used furniture about reupholstering. shhhhhh…. Beautiful! I’d have snapped up those chairs too. They are the most comfortable chairs! They just needed your vision to become the chairs they were meant to be. They are gorgeous now and so is the room. The chairs look gorgeous, a great transformation. I love how you have kept the upholstery simple with the grain sack. I believe they were worth every penny. In NZ it would cost you over $2,000 to buy such a chair. Gorgeous chairs. . .and I agree. . .a pair is always a better deal!!! Love the change of the table between the two chairs, also!!! I enjoy that you share your ‘great finds’ with us, dear friend!!! Those chairs are gorgeous, Anita! 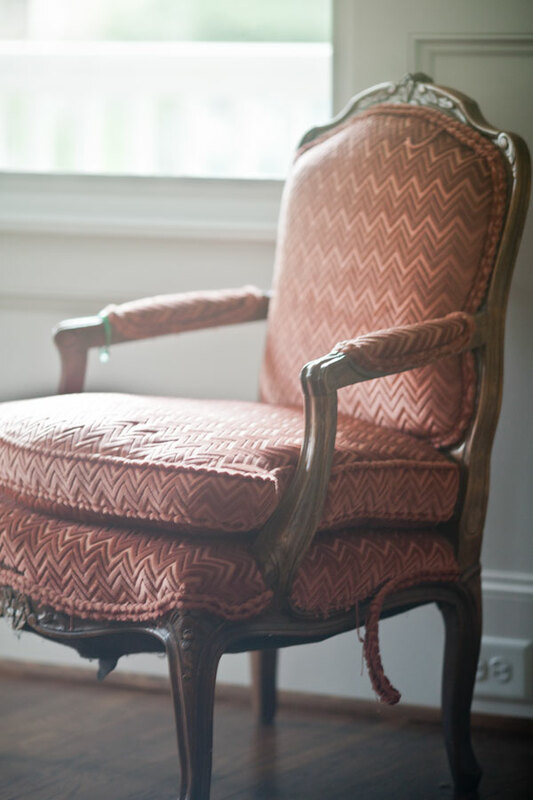 I’ve been coveting a Bergere chair for over 10 years now. All the ones I have seen have just been way too expensive for me. Still waiting for that perfect chair at the perfect price! Maybe I’ll luck out and find one at an estate sale or on Craig’s List one day. Oh be still my heart…they are gorgeous and worth every penny to have those treasures recovered! Have a wonderful and safe 4th!!! Gorgeous chairs. I especially love the linen look against those walls. Mind sharing the paint info? I’ve got a room in mind that needs a new color and this looks perfect. It’s Sherwin Williams Windsor Greige. Much more finished look now….love the chairs…..One man’s trash is another man’s treasure. Beauties…worth every penny! I keep looking and haven’t had any luck finding ones like these. BTW, where did you find the beautiful fabric? Enjoy your chairs and thanks for sharing. Maureen, I can’t remember the name of the site, NY fabrics I think. You can get the exact link from my resource guide. If you sign up for the daily emails, it will send you a link to a PDF showing my sources. I haven’t bought from them in a while. I did not make the shades. The floors are pine. WOW! What inspiration! I bought 2 chairs from a thrift store EXACTLY like these. $80 for 2! They are in an ugly, I mean horrible ugly burnt orange fabric. 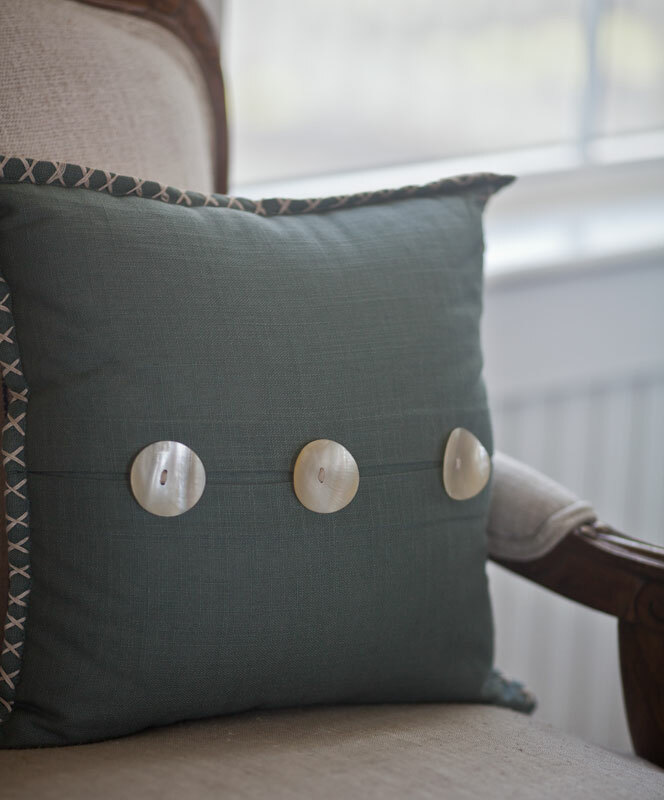 I will have to make cushions but I think I am up to it~ need to scour the web for vintage grain sack fabric now! LOVE your ‘new’ chairs! 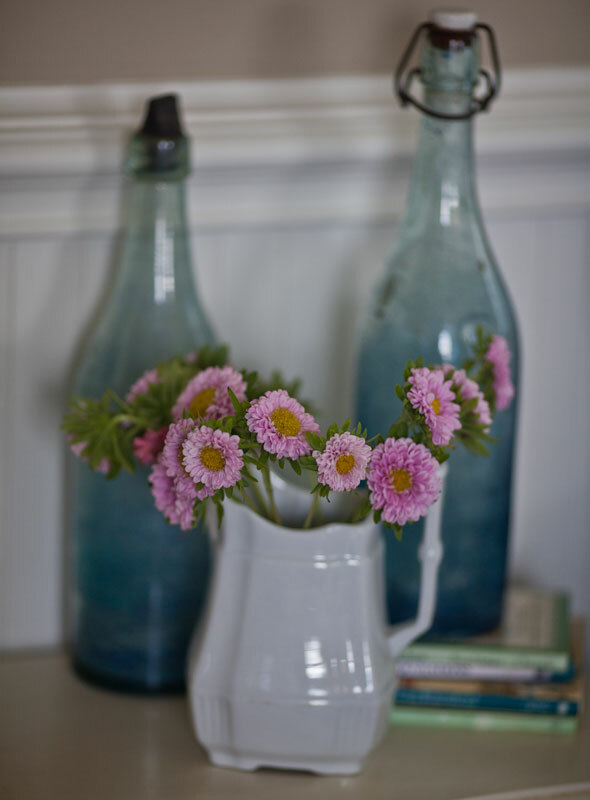 Giving new life to something old is always better than brand new in my book! Great job!! So beautiful!! And they look comfy too. 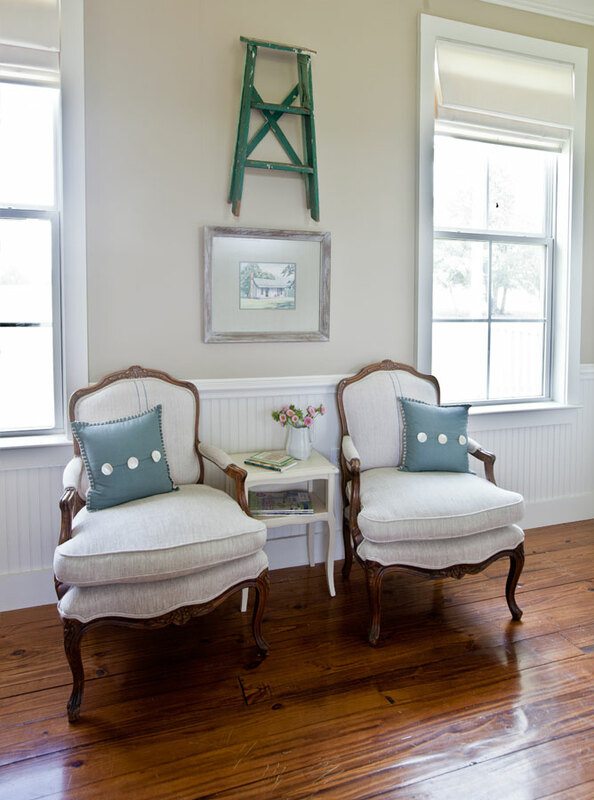 The room looks stunning with all your wonderful accents–and the wainscoting and the floors! You’re such a great decorator. how many yds do you need to recover one chair, I have the same chairs.